We offer MI windows that are made in the USA. Since their beginning in 1947, MI Windows proudly manufactures its windows and doors in plants located across the USA, employing thousands of hardworking Americans to assemble millions of products annually. Their nearest plant is just a few hours away in Prescott Valley, Arizona. At MI, there’s a lot that goes on behind their windows. The best products are backed by the best warranties. 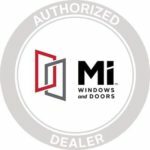 MI Windows and Doors, LLC stands behind its MI and General Aluminum branded products with a Limited Lifetime Customer Assurance Warranty. We confidently stand behind our remodeling and replacement products with comprehensive warranties and 100% trouble-free guarantee. We have successfully partnered with MI because they put people first. Their customer service is at a level that can’t be found anywhere else. When their is a problem they rise to the occasion and rapidly respond. That enables Sierra Remodeling to be responsive and efficient. Loyal partnerships are what it is all about! From design, to manufacturing and delivery, MI and Sierra Remodeling strive to provide you with 100% trouble-free precision window installations that are on budget and on time. To some it’s just a number, but to us it’s a relentless pursuit. We continually strive for perfection, down to the smallest detail – in every replacement window we install and every customer experience we create. Our success as your home remodeling and custom home building contractor depends on it. MI Windows and Doors is committed to providing their customers with high-quality, energy-efficient products. To do this, they proudly partner with ENERGY STAR® and work to continuously improve their products to meet its increasingly stringent requirements. We have successfully partnered with MI Windows & Doors as our windows manufacturer of choice because they put people first. Their customer service is at a level that can’t be found anywhere else. When there’s a problem they rise to the occasion and rapidly respond. 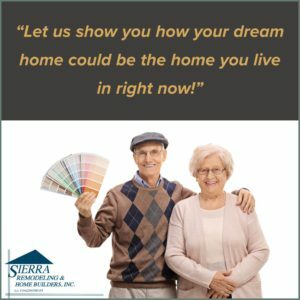 That enables Sierra Remodeling to be responsive and efficient as well when installing and servicing your windows. They are close by in Prescott Valley, Arizona and, we have full faith and confidence in this U.S. manufacturer. Sierra Remodeling recommends triple-glazed (3 panes) MI windows which are more energy efficient, block out more noise and help reduce condensation.